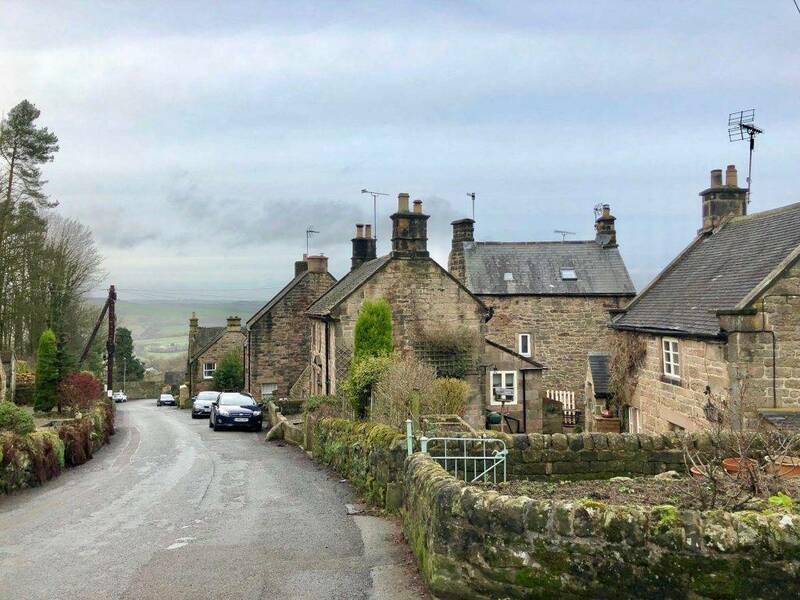 The beautiful village of Stanton in Peak is a little gem: pretty stone cottages clustered on a hillside, overlooking the most spectacular countryside. The village has a great deal of history. It was granted a Royal Charter in 968 under the name Stantune, meaning Stony Farm, and is mentioned in the Domesday Book of 1086 as part of the barony of Henry de Ferrers. By the 1750s the village was jointly owned by the Duke of Rutland and the Thornhill family. The descendants of the Thornhill family still live in the (private) stately home of Stanton Park in the village today. They were responsible for the construction of many of the houses in the village for their estate workers, a number of which bear the initials WPT, which stands for William Pole Thornhill. The Thornhill family also arranged the building of the beautiful church of the Holy Trinity, which dates back to the 1830s, as well as the village school and a reading room. 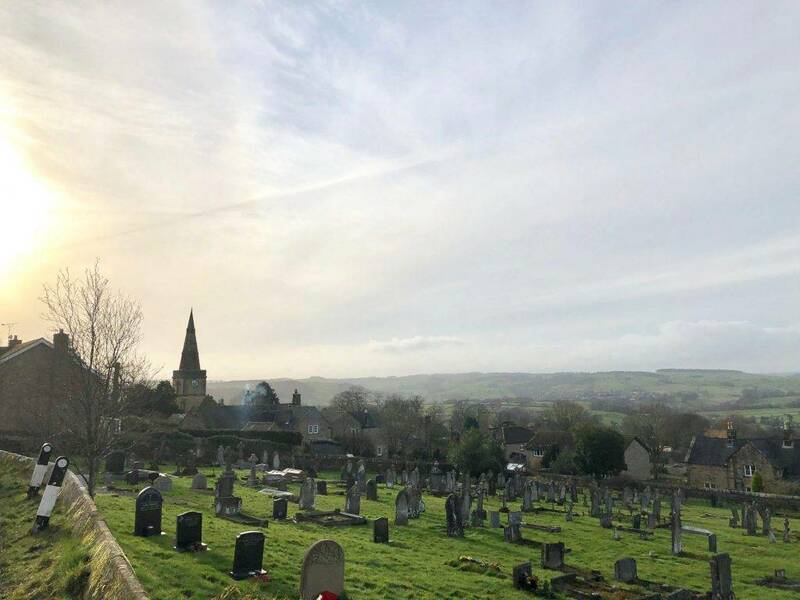 Today the village is a great starting place for the many beautiful walks in the surrounding countryside, and a perfect base for exploring the ancient history of the area. The village has a lively community, with a small shop and a lovely pub, The Flying Childers. 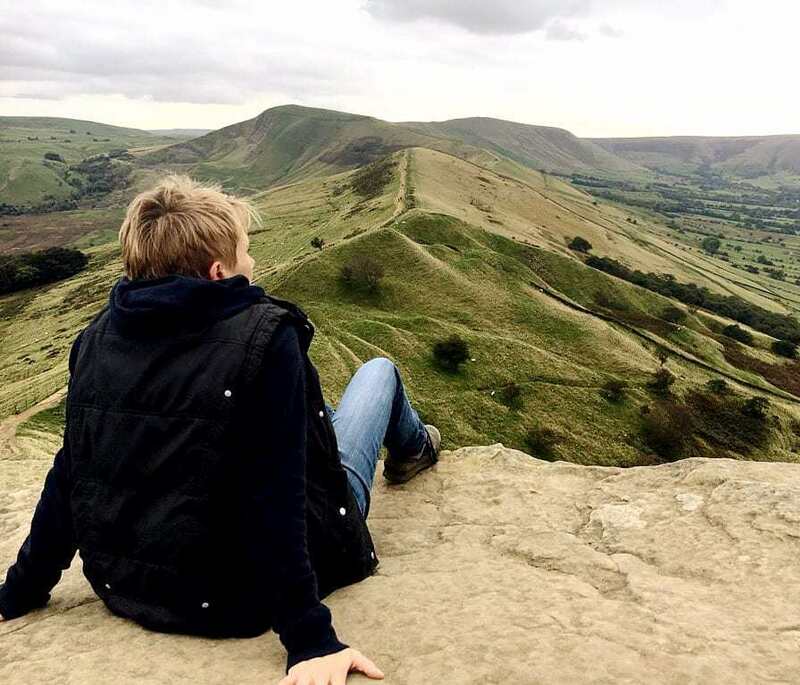 Stanton in Peak is also close to the romantic Haddon Hall, and the magnificent Chatsworth House. 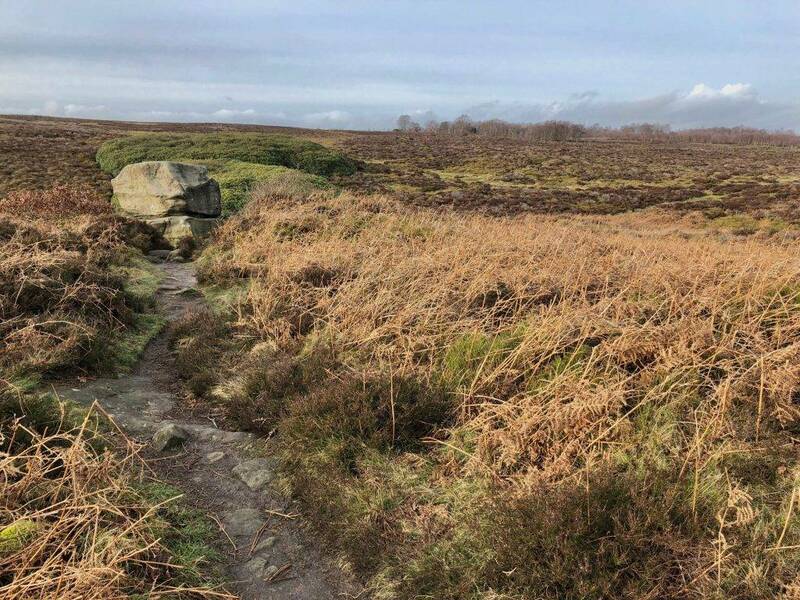 Surrounding the village of Stanton in Peak is the wild and beautiful Stanton Moor. It is so significant in archaeological terms that the entire moor is a Scheduled Ancient Monument. More than 70 burial mounds have been identified on the moor, and it has no less than four Bronze Age stone circles, including the Nine Ladies Stone Circle. 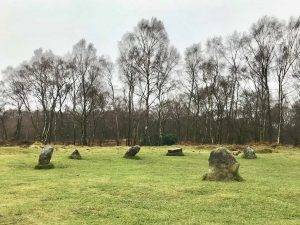 Constructed by the people who lived and worked on the moor 4,000 years ago, the Nine Ladies Stone Circle actually comprises ten standing stones, nine in a ring and one approximately 40 metres away, the King Stone. According to legend, the stones represent nine ladies who were turned to stone for dancing on the Sabbath, and the King Stone represents the fiddler.